Young Creators Academy empowers kids and youth with creative tech and non-tech relevant skills through an original program they can access directly on inexpensive phones and tablets or through local schools and organizations enabled with the capacity and the tools to offer it. Our original learning activities combine code creation, robotics and non-digital creative skills such as storytelling, writing, drawing and problem solving around real life situations and contexts familiar to kids and youth. A global interconnected world requires both creative and technical skills. Without them youth grow up to be at a great disadvantage and risk being excluded and left behind of an ever more complex and competitive world. Science, Tech, Engineering, Math, arts, problem solving and creative skills are no longer enough by themselves. To succeed, we need them all. Governments, civic organizations and public and private schools around the world spend billions of dollars actively trying to achieve wide adoption of tech and development of creative skills. Expensive cost of computers and computer labs. 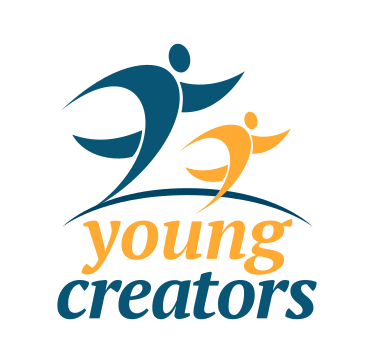 Young Creators Academy offers an original creative, digital and non-tech skills development program based on relevant context and engaging content, available online and offline on inexpensive tablets via direct individual subscriptions and also offered locally by schools and organizations enabled with our tools, content and guidance. Inexpensive to buy and replace. Both for the school and for the pupils. Do not require constant energy supply. Can work online and offline. Students can easily access one at home. Created with the collaboration and participation of artists, designers, filmmakers, storytellers, entrepreneurs, videogamers, tech developers and educators. Instead of focusing on tech skills, we focus on multidisciplinary learning goals achieved through relevant and amusing projects. Our open framework design guarantees the learning objectives while allowing pupils to customize the learning projects with their own choices to reinforce relevancy, appeal and engagement. We transform learning and tech creation from a solely intellectual process into an interactive experience that engages the senses through carefully designed creative digital and non digital activities. Pupils move fluidly from problem solving and creative imagining in their minds to writing and drawing in paper, to oral expression and group discussion, to software coding in tablets and device tinkering with robotic kits. A flexible, multi-criteria evaluation methodology and tool is provided for each project and each lesson, allowing both trainers, pupils and parents to keep track of their objective and diverse achievements. Awareness of the learning objectives and evaluation criteria motivates students to focus in the expected directions and areas. Our entire program is available online to the whole world via tablets, mobile phones and computers. New lessons, exercises and projects are uploaded every month. Access to it is based on a Freemium model. Parents can subscribe their kids directly to receive direct tutoring and assistance, progress evaluation and access to more advanced and detailed learning content for pupils and parents. Local organizations and schools sign up to offer our program to their students and stakeholders. We provide the tools, content and methodology as well as train their trainers, provide guidance and direct support. Their teachers and students join our larger community and can share experiences with their peers and benefit from them. Young Creators Academy promotes applied creativity and practical skills in kids and youth through a multidisciplinary framework of software coding, storytelling, dance, art and robotics, strengthening social and human values in contact with people and nature. Young Creators learn to invent and tell their own interactive stories where the reader plays an active role by creating video games with tablets. And in doing so, they develop math skills, practice problem solving, learn about variables, logical statements and spatial coordinates at an early age... all while having fun. We combine tech with dance, music, visual arts and special projects through sessions and interactions with professionals who accompany them in generating artistic and social creations while stimulating and actively engaging their senses. We partner with local and educational institutions to offer our programs or train local trainers with whom we share our know-how, strengthening local capacity. We use tablets for freedom of movement combined with active sessions with dancers, artists, storytellers, environmentalists, filmmakers, etc. to turn the software development creation process into an interactive experience that engages the senses and physical activity beyond plain intelectual challenges. The abstraction inherent to software development is complemented with an initial process of group discussions and physical activities to invent stories that are translated into written drafts and paper drawings before evolving into interactive video games through coding. All processes are supported by detailed evaluation tools and templates and supporting mobile e-learning platforms available for the kids, the educators, the guests and the parents or tutors. Key in all this is our original content, exercises and program, which combine analog, physical and sensory stimulating activities with content relevant to youth context on digital skills development projects. Completed courses for private schools, community centers and non-profit organizations in. Special Sessions and Workshops celebrated with world renowned Hollywood film directors, professional dancers, musicians and visual artists. Initial paying customers, who have asked for additional contracts. We have a set of tablets and laptops for delivering classes ourselves. Fully functional online campus, ready with digital content and lessons. 4 complete different capacity building programs, ready to use, complete with lessons, exercises and step by step instructions. Centros Tecnológicos Comunitarios in Dominican Republic. 30 Innovative Youth Projects and Prototypes. In France, Dominican Republic and Malaysia. International Robotics Creation Weekend in December 2018.
International Robotics Competition Week in February 2019. We start with the markets we know and the 3 languages we have already worked on. Then we expand to larger markets, leveraging the content, experience and product validation lessons. In addition to our on-going projects in France and the Dominican Republic, we have received solid interest from partners in Mexico and Malaysia. Year 1: Dominican Republic, France, Malaysia and Mexico. We already have on-going projects in the Dominican Republic and France. We have received solid interests from potential partners in Mexico and Malaysia. Year 2: Spain, Singapore and USA. We have good connections and partners in Singapore, plus the content already in English. The USA is the larges English speaking market. Year 3: Argentina and Switzerland. Argentina is a large market and our content is already in Spanish. Switzerland is a premium market close to our operations in France and we already have the content in French. Year 4: Brasil, Colombia and Chile. Colombia and Chile are good markets and we already have the content in Spanish. Brasil is a large attractive market, but the content needs to be translated. Year 5: Central America and Perú. Leveraging our Latin America presence and content in Spanish. click here for our detailed 5 year plan figures. Middle Class and higher Parents. Ministries of Education (Public Schools). We train and build internal capacity of organizations so that they can offer them to their own students. We offer training directly online and in person to young students. We offer our programs and content to consumers via partner organizations who host and promote them to their own students. We offer our programs to government organizations working to increase digital literacy and computing skills of youth, including Ministry of Education, Public Community Centers, Tech Academies, etc. Our kids and youth education programs and institutional capacity building programs. Our content, programs and lessons. Our mobile and web learning platform. where the money comes from / who pays? Mobile or web subscriptions made directly by families on our app or web portal to gain access to additional content and exercises, updated every week as well as mentoring and support by tutors and report cards. Centers where our programs are offered, usually by the center's staff. A monthly fee is used for the right to use the platform, training, support and for exclusive monthly content. Students pay a fee to participate in the associated centers or our own workshops. We make $25 or more from each participant, after workshop costs or as commission. Parents subscribe to the service so that their children gain access to content, exercises, tutoring and guidance. Organizations pay for the right to access and offer our content and programs to its students, receiving mentoring and capacity building as a bonus. Local partners offer our program to local organizations for licensing. Some content and courses are made available for free to hook students and organizations in. We offer special courses like summer camps to increase market penetration, visibility and income. Monthly, quarterly and season/specific dates based (Summer, Christmas, Halloween, Easter, Independence, Carnival, etc.). Monthly, quarterly and season/specific dates based (Vacation, Back to School) on the role of creativity and tech in youth development and their future. Quarterly to build capacity and awareness on educators and institutions and the local ecosystem in general. Participation in TV and radio shows and publication of articles on local newspapers. Posting flyers and special offers at schools and centers. Participation in local education events for visibility. 1 software and 1 robotics monhtly projects free and premium. Weekly blog, podcast, maker interview and showcased initiative. With spaces for questions, collaboration and showcasing projects. Daily posts and responses on Facebook, Twitter, Instagram, Youtube, Pinterest. Ads on Facebook, Instagram, Twitter and Google networks. Environmental Innovation, Digital Sports and Open Disruption. Robotics, Software and Videogames development, Open Creative Innovation. Expenses and awards covered by both local and global sponsors. Hosted by local associates and partners. Connects our local and digital communities around the world. Innovative, curated and mentored projects are created. The business is sustainable and profitable from its first year with profit margins growing significantly as we expand from a modest $100,000 profit in the first year to over $6 million annual profit and $12 million accumulated profit by the 5th year. The quick rise in profits comes from significant economies of scale obtained by intensively growing the online penetration and its low cost digital infrastructure while maintaining a slower expansion pace for local offers which requires physical infrastructure and other expenses. The projected growth and revenue is achievable building from our existing experience with a modest initial investment of $250,000. Alternatively, a smaller 6-12 month pilot can be executed with a smaller funding of $50,000 to $150,000, depending on the desired pace of deployment. For detailed consultation and review of our financial model, click here. Expanding to other Cities and Countries. Carlos Miranda Levy (France) is a Stanford University Fellow, founder of an EdTech startup with 1 million users, named by CNN among the 20 most influential latinos on the Internet, with awards from Google, Gates Foundation, Reuters and MIT. Robin Low (Singapore) has extensive social innovation and training experience in USA and Asia. Gabriela Mafort (Brazil) is a Stanford Knight Fellow, multimedia and transmedia communication and storytelling content specialist. Teresa Mederos (Mexico) has 20+ years of experience in the corporate world in Business Intelligence, Data Strategy and Social Responsibility. Naomi Bonilla Hoshikawa (USA) started training girls in coding as a teen and started our underprivileged kids program.